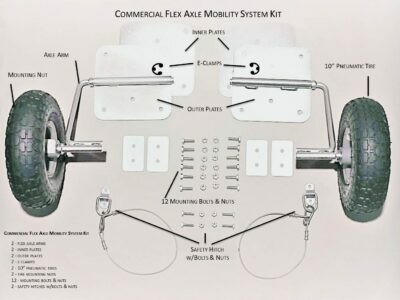 This Residential version of the Flex Axle Mobility System provides consumers with reliable method of easily transporting domestic animals. 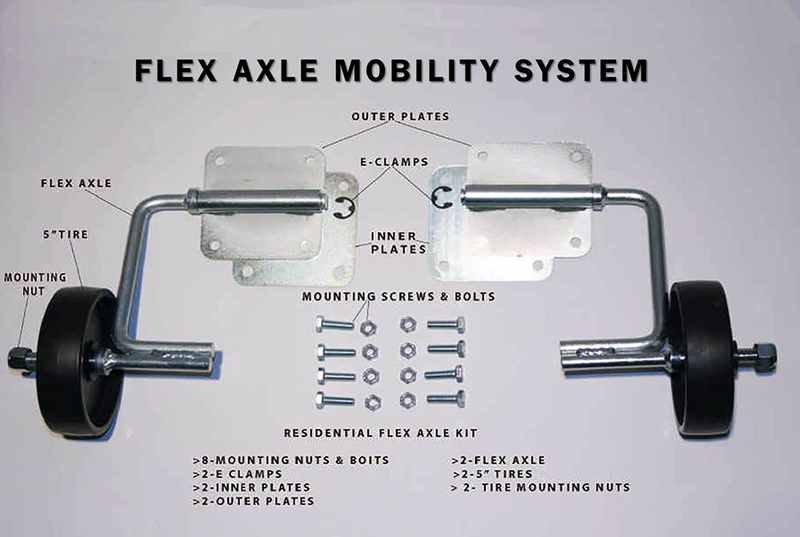 Superior Quality – Our Flex Axle Mobility System is crafted with commercial-quality materials and superior manufacturing. Our units are designed with safety in mind and intended to last a lifetime. Easy Installation –This innovative design makes the entire installation process easy, straight forward and a safe. The unit is easy to setup, store, transport and clean! 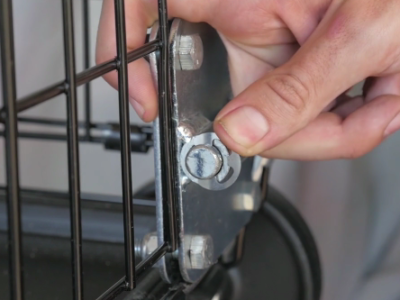 It is great for the secure transportation of your pets. *Supports weight up to 150 lbs. Please complete a quick survey to give up some feedback for our website.